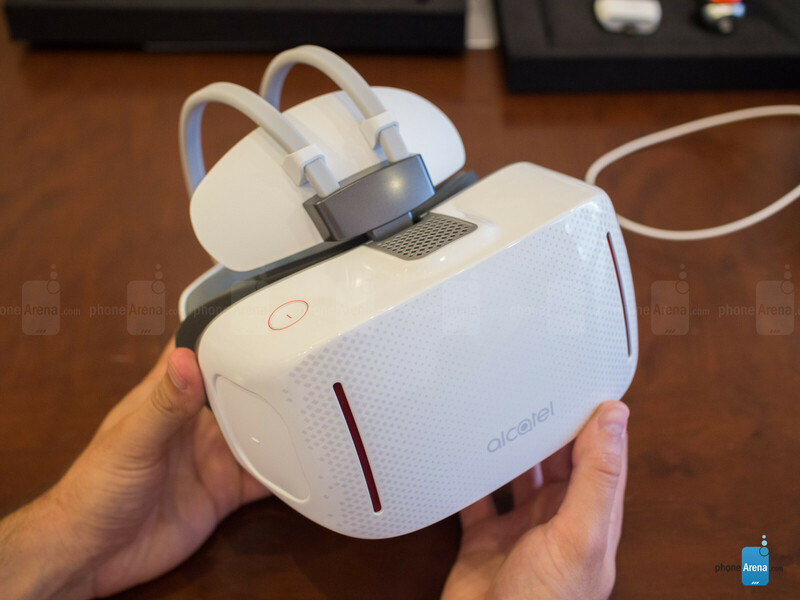 Alcatel unveiled an ambitious virtual reality headset at IFA 2016. The Vision, as it's called, need not be connected to a smartphone or computer to deliver an immersive VR experience. Rather, it's a self-contained unit powered by typical smartphone hardware, including OLED displays (one for each eye), a processor, and on-board storage memory. We had a chance to test-drive the intriguing unit at the trade show. Putting it on, the padding around the eyes felt nice, with soft leather providing good cushioning. But something about the headset didn't feel right around the nose. 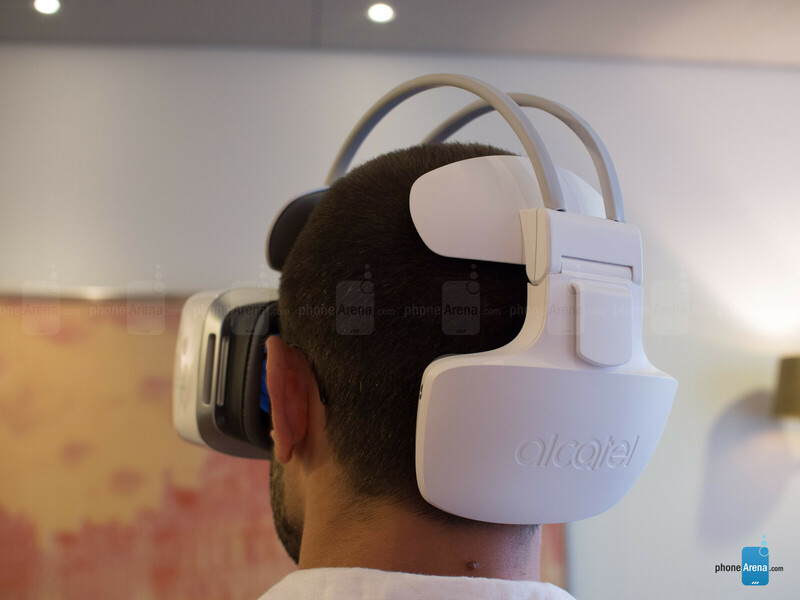 Alcatel told us it's working on improving comfort for the headset's retail version. Trying out some demo VR experiences left us with positive impressions. 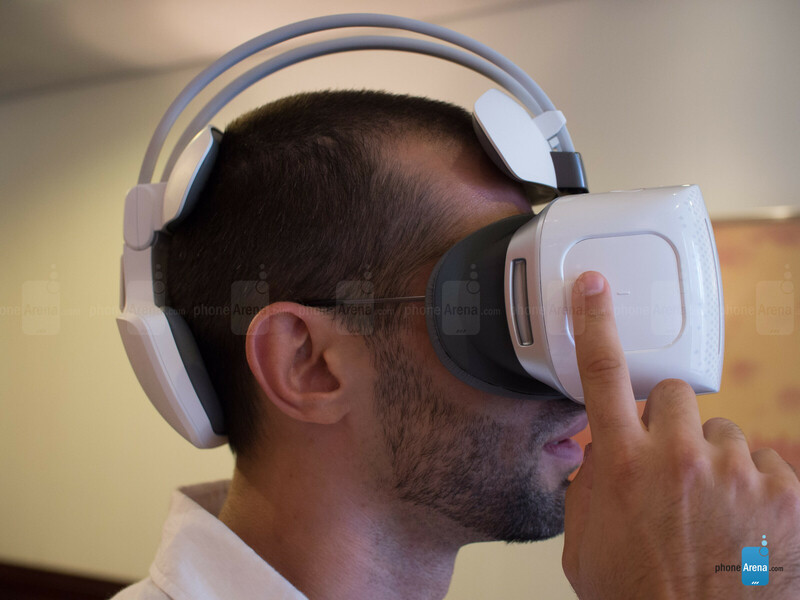 The experience is solid, thanks to the headset's wide field of view and the big lenses. The displays' 1080p resolution left something to be desired, however – the displays' individual pixels are clearly visible, leading to a "screendoor" effect. The latency, however, was very good – we don't see that becoming an obstacle for immersive experiences. 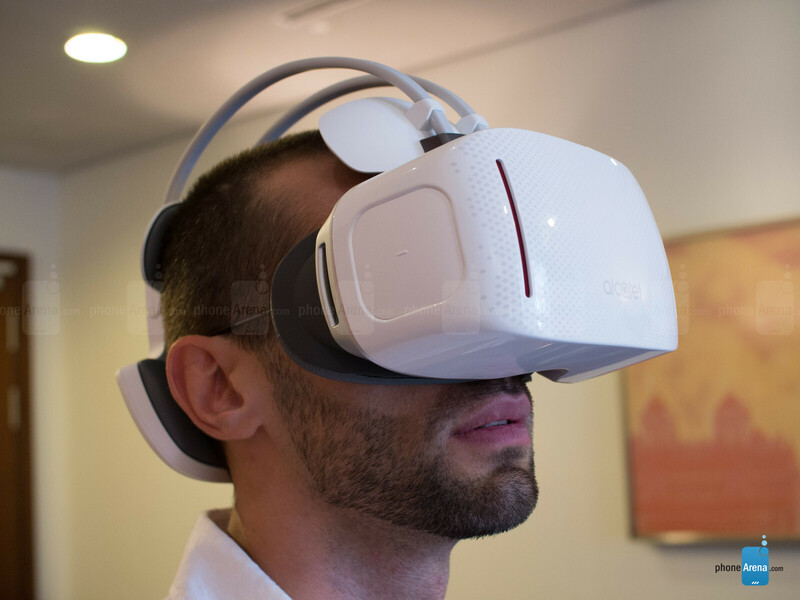 Alcatel told us it has has teamed up with entertainment companies like Jaunt VR, Magic Interactive Entertainment, and Fraunhofer to deliver pre-loaded content with the Vision. There are also two companion 360 cameras that plug into your smartphone and snip 360-degree photos and videos to be viewed with the headset. At launch, the Vision might cost up to $600, which is certainly a lot to ask for, especially when Alcatel is associated with affordable devices. But this is new and rather ambitious technology, so the company's premium pricing makes sense at this stage. Alas, there's no launch date announced yet. better to have false sense of security then? Windows is an os very much targeted by all virus and hacker ect so sorry for you. Also oculus + a computer thats can run it well will cost you MUCH more than 600$ btw. $600... too much with no viable platform. Prefer to buy PlayStation VR for their exclusive titles. If Day Dream pick up then maybe.